The Commodore 1680 is a standard hayes compatible 300/1200 baud modem which uses the standard RS232 interface. 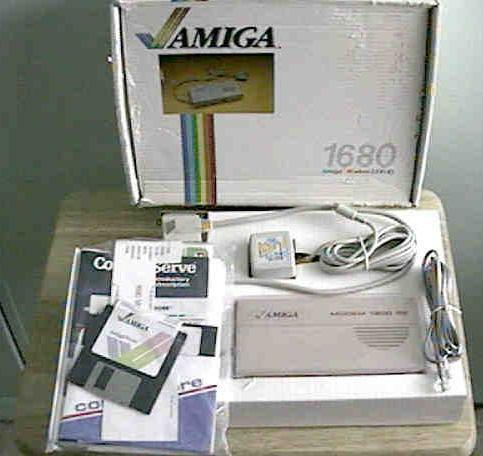 The modem was supplied with both Amiga and PC drivers/terminal software. Page contributors: Jan Pedersen, Mario Misic.